BLIMEY! The Blog of British Comics: SMASHER rises again! No, not Smasher the classic Dandy naughty kid (although he will be back later this year too) but the adventure strip of the same name. 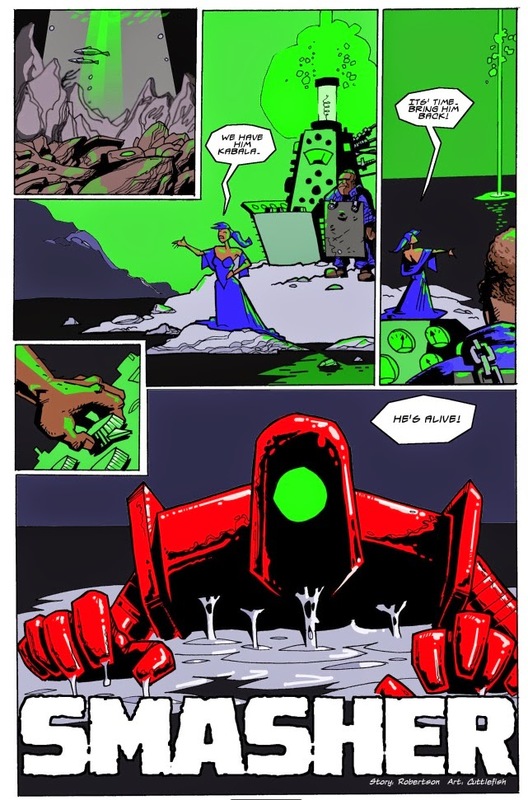 The huge Smasher robot, seen in the pages of Victor, and later Bullet, rises again in the current issue of digital comic magazine Comic Review. As mentioned here a few weeks ago, the Glasgow League of Writers have permission from DC Thomson to resurrect some of the bygone adventure strip characters in new stories for a new generation. Each week a different strip appears in Comic Review (published by Future) and this week it's the turn of Smasher, written by Gordon Robertson and illustrated by 'Cuttlefish'. I think it's the strongest of the revived strips so far, and I'd certainly like to see it continue as a regular series. 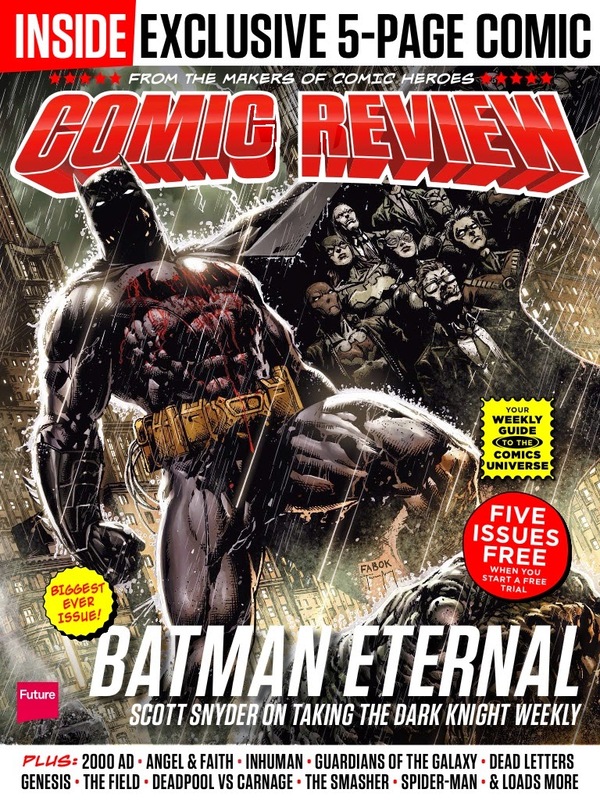 The five page preview is in Comic Review No.10, available for 99p when you download the free Comic Heroes app for the iPad and iPhone. Lots of other features in the magazine too, so it's well worth the price. Looks great, and I would love to support it, but I have downloaded a few comics and never really looked at them. Would Print on Demand be an option for a not-so-old but still Luddite? Maybe when the have enough material it might be an option for them. The character I would love to see more of is Wilson, the Hammer Man from memory was fun too. Comic Review is worth it just for the reviews, if nothing else, because it has a feature that shows five or so pages of each comic when you click a button. So there's a lot for your 99p really. It is very US-centric unfortunately. It's not a mag that's likely to review The Beano or Commando for example. As for POD, perhaps it'd simply work out too expensive to be a viable option, although if you can do your mags at a reasonable price I don't see why others couldn't do the same.